Located in sunny Flagler County, Palm Coast by Vanacore Homes offers pristine views and convenient access to many top-notch attractions. Our golf course communities are a top choice for discerning home buyers looking for the perfect blend of superior-quality construction, affordability, and location. Please note: the price listings within Palm Coast do not include the price of the lot. With nearly 30 years of experience in the homebuilding industry, you can count on Vanacore Homes to bring skills and expertise to help bring your dream home to life. You can choose from one of our award-winning floor plans, or we can build yours according to a custom design. Best of all, we will build your home on one of our lots or a lot of your choice. Whatever you choose, you can be confident that we will bring the same dedication to high-quality craftsmanship and exceptional design that makes us one of the most preferred homebuilders along the East Central Florida coast. 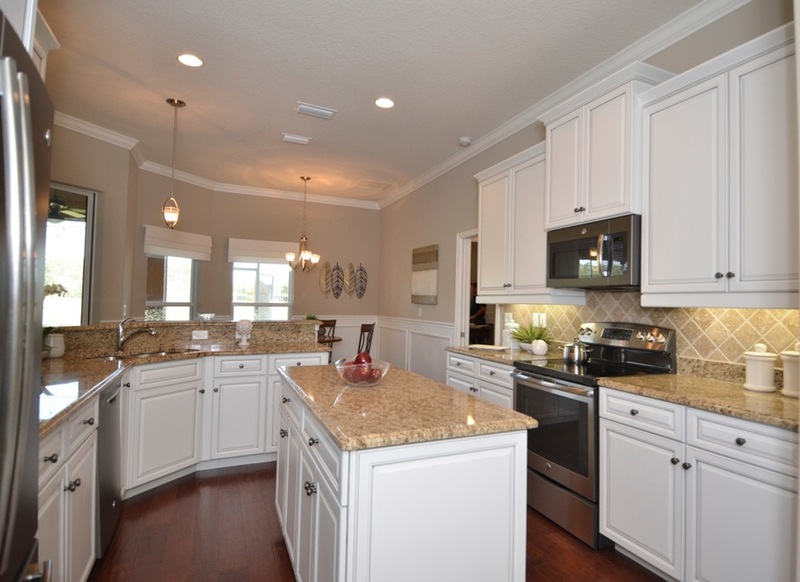 We have numerous award-winning floor plans to choose from at our Palm Coast community. In fact, both the Paris IV and Chestnut II were chosen for the Parade of Homes Grand Award! Standard features include amenities such as gourmet kitchens with energy-efficient appliances, baths with porcelain or ceramic tile floors and granite countertops, walk-in master closets, and spacious two or three-car garages. As a member of the Florida Green Builders Coalition, we are proud to incorporate energy conservation attributes into the homes we build, such as improved insulation, high-efficiency cooling systems, and water-conserving faucets, toilets, and showerheads. Palm Coast is situated on one of the area’s finest golf courses, and the community is also convenient to fabulous shopping and dining and first-rate medical facilities. Plus, Palm Coast is just minutes from the beach! If you are looking for an upscale golf course community you will love to call home, schedule a tour of Palm Coast by Vanacore Homes today. Interested In City of Palm Coast? Contact a City of Palm Coast New Home Sales Representative today.